Australia has the highest rate of melanoma in the world! About 13000 new cases of melanoma were diagnosed in Australia in 2015. Melanoma is the most dangerous form of skin cancer. Every year more than 2000 Australians die from skin cancer. Unfortunately I am one of the people who have been diagnosed with melanoma, although I consider myself to be one of the luckier ones. I detected my new mole early, had it promptly removed, and even though it was found to be malignant requiring a further wide excision of my calf, I have had no further complications. Click HERE to find out more about My Melanoma Story. As a result I am now very conscious of being sun safe and applying appropriate good quality sunscreen correctly! The effectiveness and quality of sunscreens has improved greatly over the years and sunscreens are now widely used. Unfortunately a large percentage of us are making one or more of the following 9 big mistakes and are thus not fully sun protected, putting us at higher risk of developing sun cancer! These mistakes are easy to avoid. Check the following list and make sure you are not making any of these mistakes. Be sun safe! 9 Big Sunscreen Mistakes You Need to Avoid! 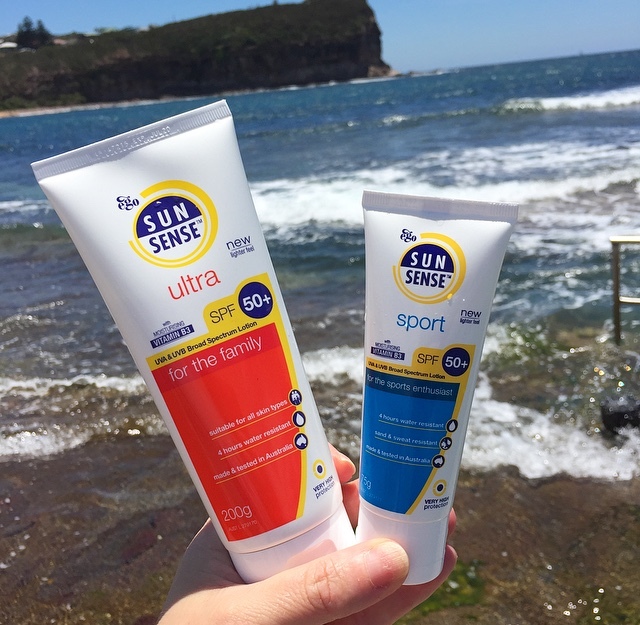 An Australian research paper published in the Australian Journal of Dermatology in December 2014 found that only 15% of adult Australians are using the recommended amount of sunscreen – which is 40ml for the whole body. If you use less than the recommended amount you will not achieve the level of sun protection advertised on your sunscreen product. To achieve the level of sun protection advertised on the label of the sunscreen you need to apply more than 1/2 teaspoon (3ml) of sunscreen to each arm, your face and your neck. Additionally, you need to apply more than 1 teaspoon (6ml) of sunscreen to each leg, 1 teaspoon to the front and 1 teaspoon to the back of your body. Yes, you need to use a lot of sunscreen on a beach holiday! Click HERE to read more about how much sunscreen you should be using. Sunscreens have an expiry date. The active ingredients in them will not be as effective after the expiry date. Check the expiry date on your sunscreen products and make sure your product is still in date. Sunscreen should be applied approximately 15-20 minutes before going out in the sun to allow it enough time to fully absorb into your skin and offer the protection required. You should reapply your sunscreen every two hours to ensure ongoing protection. In addition to this you should reapply your sunscreen each time after a swim. Some sunscreens state they are water resistant meaning they stay on your skin whilst you’re swimming but they can rub off easily when you subsequently towel yourself dry. Always reapply your sunscreen after swimming, toweling and sweating. To ensure your sunscreen stays effective it should be stored at room temperature, under 25 degrees Celsius. At the beach wrap your sunscreen in your towel or keep it in your esky if you take one with you. Do not leave your sunscreen in the centre console of your car! Often we forget about our lips and ears when we apply sunscreen. 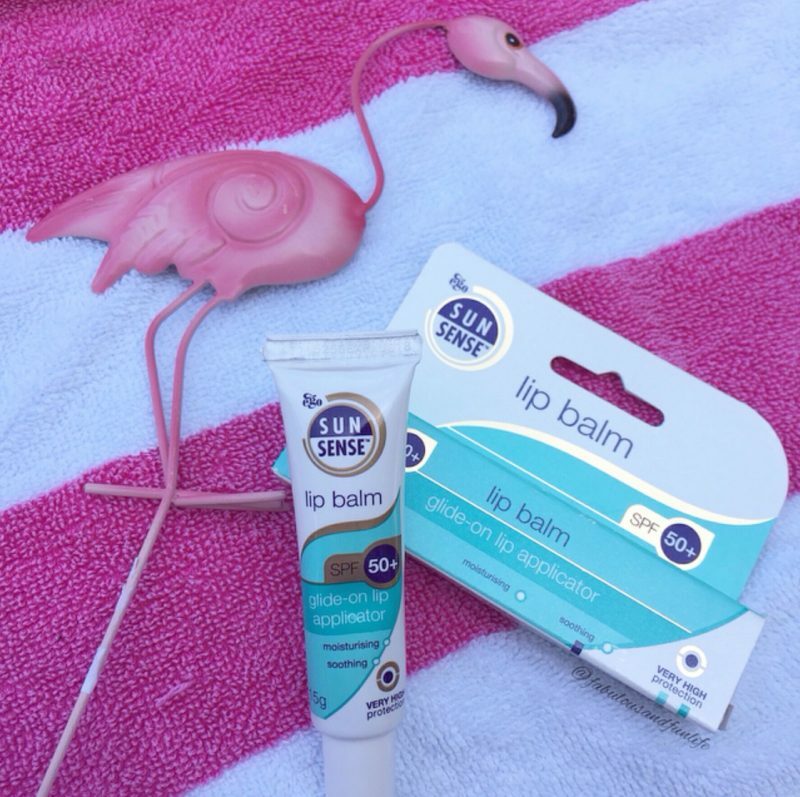 Lips don’t produce melanin (which helps protect against ultraviolet radiation) like skin does, so it’s really important that our lips are constantly protected from the sun also. We also often forget to apply sunscreen to our ears! Make sure you cover all of your face, including your lips and ears, with sunscreen. Mistake 7: Not Using a Sunscreen Every Day. UV rays can penetrate clouds and also windows! You need to wear sunscreen even on cloudy days and when driving or working near windows. Yes, it is recommended you use a higher protection sunscreen such as SPF50 but this doesn’t mean you should become complacent. Using an SPF50 as opposed to an SPF30 does not mean you can be out in the sun for twice as long nor does it mean you don’t have to reapply your sunscreen as often! SPF 30+ sunscreens filter out about 96.7% of UVB radiation whilst SPF50+ sunscreens filter out approximately 98% of UVB radiation. Always choose a broad spectrum sunscreen which will protect you against both UVB and UVA radiation. Mistake 9: I’m Using Sunscreen, Therefore I Can Safely Sunbake and Tan! WRONG! There is no such thing as a “safe” tan! Tanning is a sign that your skin is being damaged. 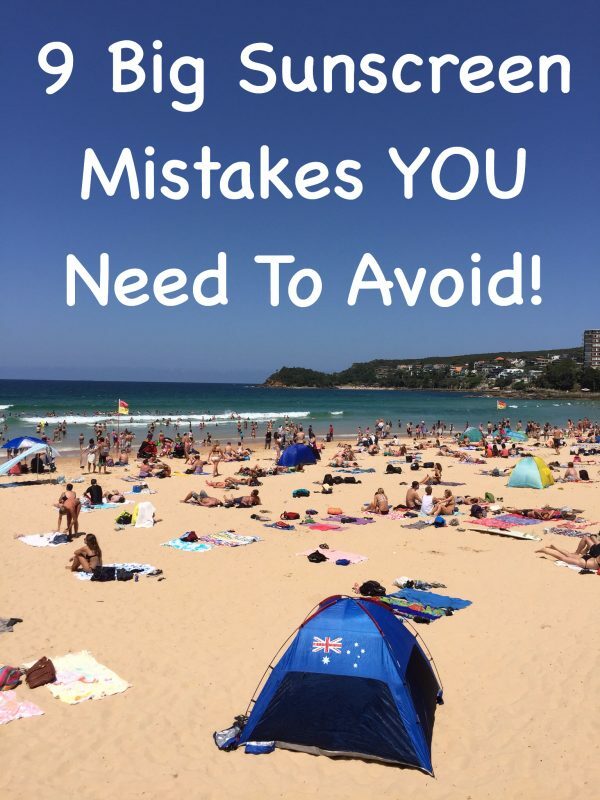 If you are wearing sunscreen and still getting tanned, check through the list above and find out what mistakes you might be making! If you want to appear tanned, the only way to do so safely is to use a fake tan! 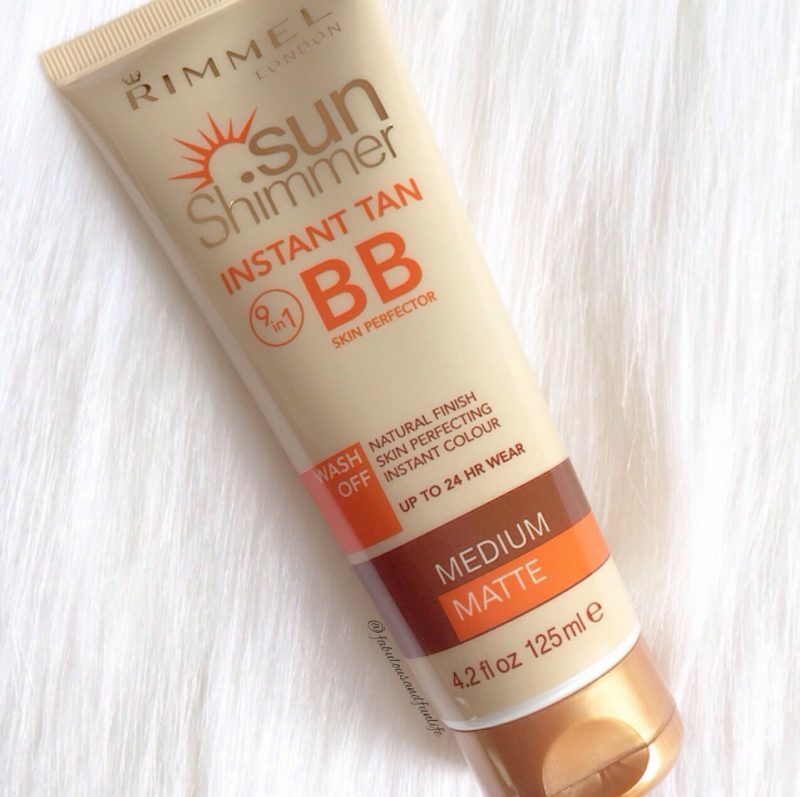 There are some very good quality, easy to apply and effective fake tans on the market now, such as the pictured Rimmel London Sun Shimmer Instant Tan 9-in-1 BB Skin Perfector! Click HERE to read The Ultimate Guide to Achieving The Best Fake Tan. Have You Been Making Any Of The Above Big Sunscreen Mistakes? * The photographed products were kindly gifted to me. Full disclosure policy here. Thank you for the reminders that it's more than a 1x application when we get to the pool or beach! I'm guilty of doing it all wrong! Hi Ingrid I live in Brisbane and we spend a fair amount of time at our other home on the Gold Coast. I have to admit that sunscreen and I have a bit of a love/hate relationship. You have made some excellent points here and I didn't even think sunscreen would have a used by date or about my lips and ears. Thanks for sharing at #overthemoon and have a great week. I definitely make the mistake of not re-applying sunscreen often enough. I'm trying to work on that. I used to be so good about sunscreen but I got burned over Christmas and I'm still peeling! My pasty kiwi skin isn't used the the outdoors. Wonderful advice thank you. I had no idea there was a recommended measurement for each part of the body!!! I need to save this and keep it handy for the summer. Thank you.